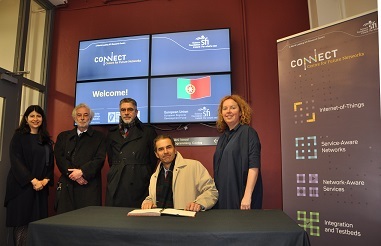 The CONNECT Centre at Trinity College Dublin hosted a visit from Portugal’s Minister for Science, Technology and Higher Education, Mr Manuel Heitor; the Ambassador of Portugal to Ireland, H.E. Bernardo Futscher Pereira; and Professor Paulo Ferrão, National Director of the MIT-Portugal Program. 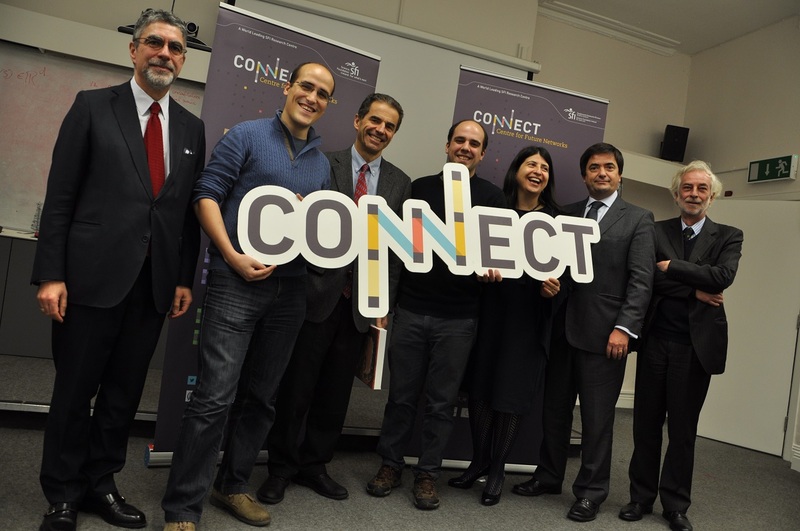 The delegation met Portuguese researchers at CONNECT, Dr Pedro Alvarez and Dr Francisco Paisana, along with CONNECT’s International Funding Manager, Dr Raquel Harper, and listened to a presentation on CONNECT’s research goals by Professor Linda Doyle. Minister Heitor is welcomed by Professor Linda Doyle, Director of CONNECT. 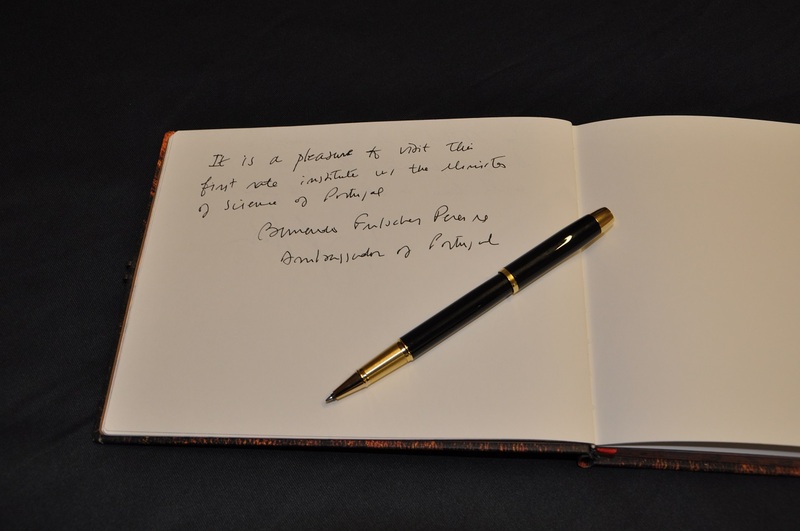 A message from the Ambassador of Portugal to Ireland in the CONNECT visitors' book. 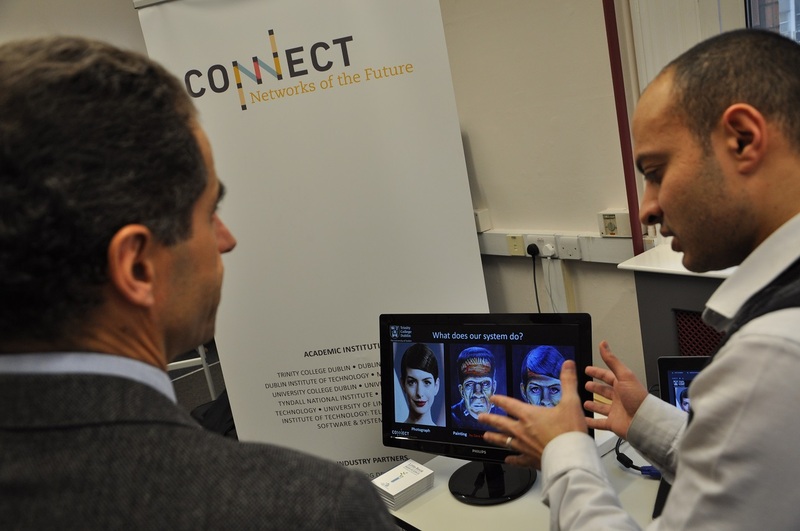 Minister Heitor is introduced to a deep learning technique developed by Dr Ahmed Selim. The Minister and Ambassador meet Portuguese staff members at CONNECT. 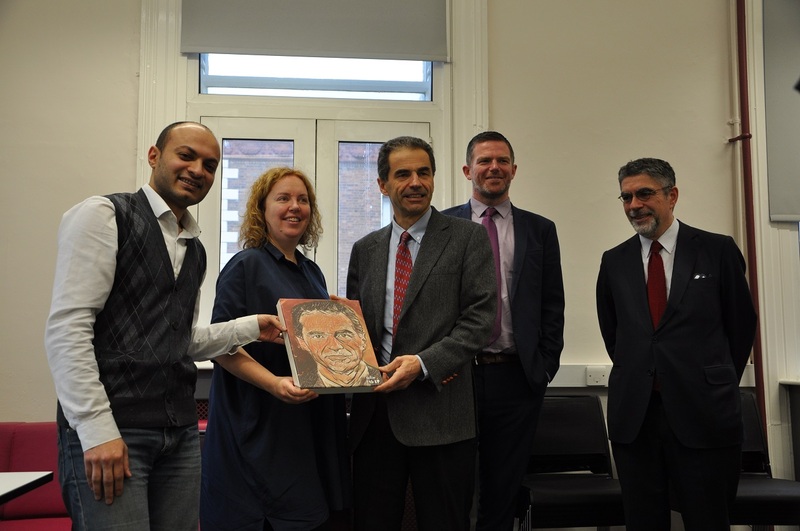 Minister Heitor is presented with a portrait in the style of Picasso by Dr Ahmed Selim.